Cover ups are a part of tattooing. Some customers will get laser tattoo removal to fade existing unwanted pieces, and this alway helps for a cover up. But there are some unhelpful TV shows out there that give the newer tattoo collecting public the impression that anything can be covered with anything. They show fresh images of well applied, well saturated tattoos where light colours have been placed over dark colours in large areas. But neglect to show the healed tattoo, let alone in 5 years or more. 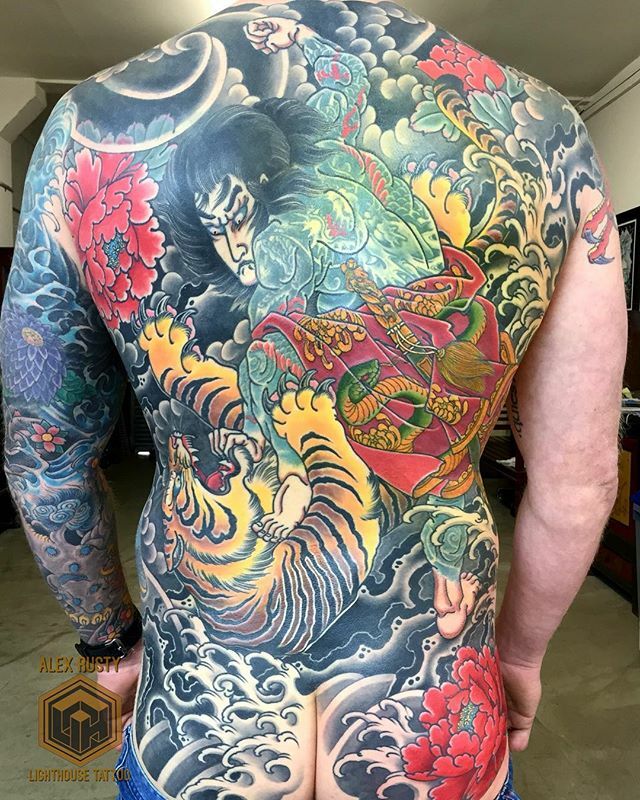 In my opinion, the best styles for tattoo cover ups are the traditional ones (traditional Japanese and western traditional and neo traditional). The tonal extremes of skin and black set the base for the whole design. And because traditional Japanese tattooing involves such extensive coverage, a skilled artist can utterly obliterate an old un-wanted tattoo.